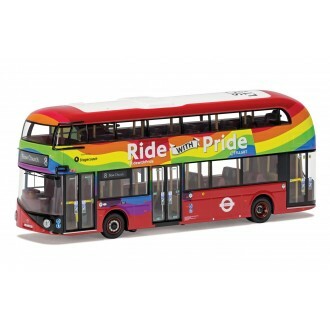 The rainbow Ride with Pride New Routemaster bus was created to celebrate Lesbian, Gay, Bisexual and Trans LGBT diversity in London. It was the first bus of its kind and has gone on to inspire other cities around the world. 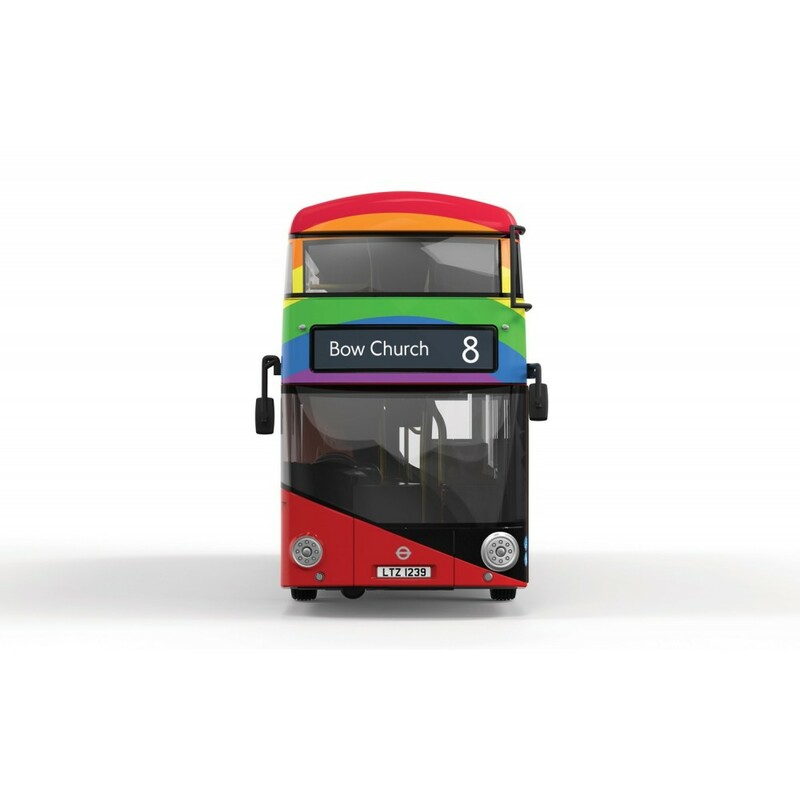 The bus was created by OUTbound, Transport for London’s LGBT+ network as part of an award winning community engagement campaign. It went into service on 2 March 2015 on route 8, and moved to route 15 in October 2015 operated by Stagecoach London. The bus has taken part in two Pride in London parades, and many other high profile events raising awareness of LGBT diversity. Corgi Original Omnibus Company are detailed die-cast model buses and coaches. Each model comes with an individually numbered certificate of authenticity detailing the history of the particular vehicle and operator. Scaled at 1:76 they are ideal for both enthusiasts and ‘OO’ gauge railways. This superb model bus is incredibly detailed and is attached to a plastic display plinth in a clear plastic display case. It is complete with a cutaway card outer box. This model is aprox 15cm long.